Our beige Dog Paw stress ball can represent any team that wants to have its’ prints on record! 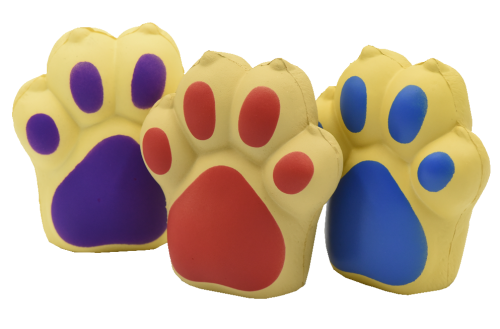 These dog paw stress relievers are great promotions to hand out at fundraisers, rallies, games and any school event. You can custom imprint these dog paw stress balls with a team name/logo or a clever slogan.